By popular demand: the big ones! 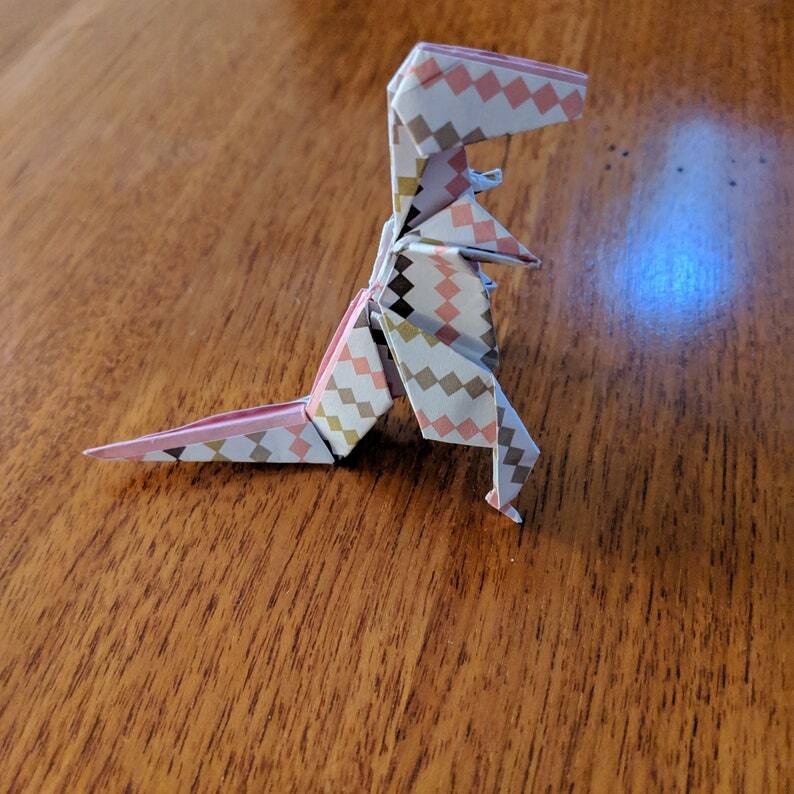 I like to create these T. Rex origami sculptures because they make me happy. 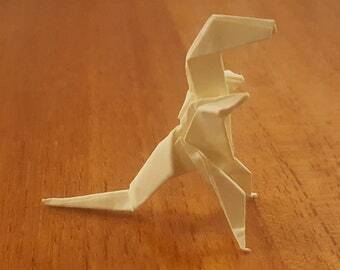 I make them out of 3inx3in Post-it notes or the like. But people have asked me about making them out of full 6inx6in origami paper, so here they are! These are about 3in tall by about 3.25in long by about 1.25in wide. Each one also stands up on its own, just like their miniature version.